Ham Radio: Solar Max - Good DX Opportunities? As we reach the midpoint of Cycle 24 we may experience disturbed or "wide open" band conditions when operating our Ham radio stations. This is due to the effect on the Earth's ionospheric layers being battered by lots of flowing electrons more commonly known as solar flares. The sun's magnetic field has been reversing over the last few months and will shortly experience a complete flip of polarity. This event now known as "solar max" happens every 11 years and like our treasured DX delivering solar cycles is subject to random peaks of activity (solar super storms). 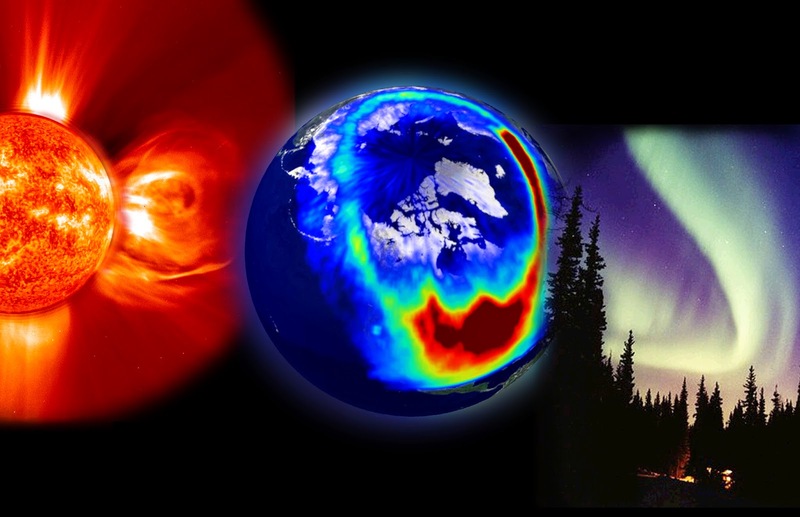 The last super storm happened back in 1989 resulting in a massive geomagnetic storm caused by a coronal mass ejection during solar max. Solar max is a term used by scientists to describe the sun's 11-year cycle. During "Solar max" our sun's magnetic field reverses polarity, typically spawning sunspots, flares, auroras and geomagnetic storms. When Solar max takes place, fields are produced which are large enough to disrupt satellites, effect the HF bands and fry power grids on Earth. I found the video below very interesting lets hope we experience some great DX conditions over the next few months! 73..
Back To The Hill Top Retreat!